Where would we be without our fire trucks? 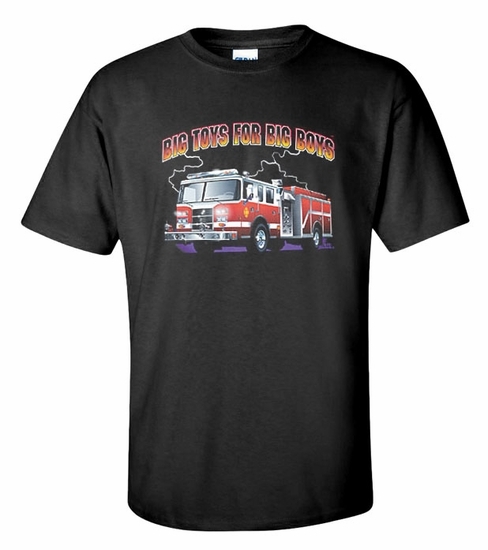 Our Big Toys for Big Boys t-shirts and sweatshirts come in a variety of colors. Enjoy your morning brew in our Big Toys for Big Boys coffee mug-a wonderful gift! Remember� you found the Big Toys for Big Boys Shirts at TShirtHub.com, where high quality came at a low price.